Generally on Sunday evening’s we would prepare some snack at home as we would like to munch it when we watch movies in the tv. I would prefer to have them healthy rather than oily ones. Hence I would go only for the baked snacks. 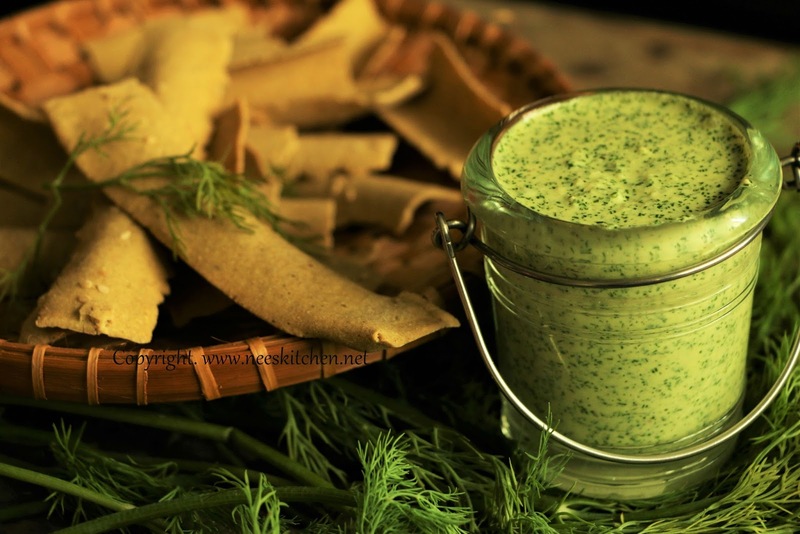 Dill Leaves, nuts, parmesan cheese are combined with yogurt and lemon juice. 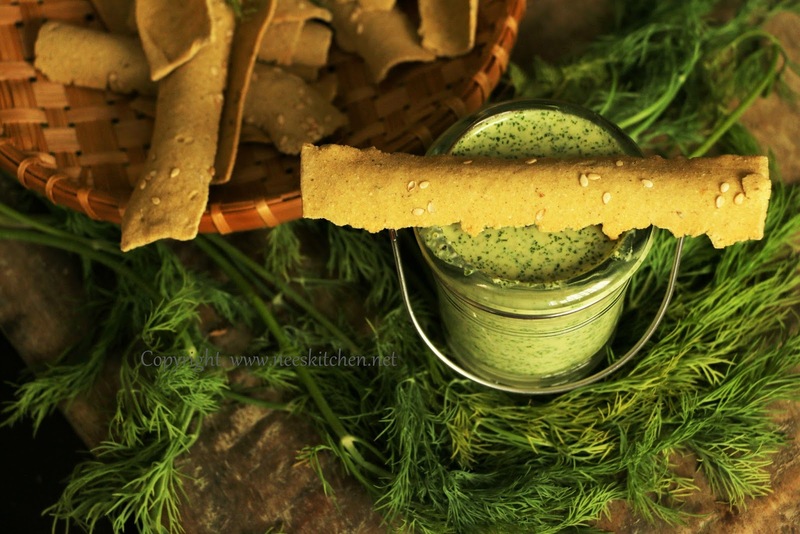 The ingredients are then blended into a dip consistency and served along with DIP Food’s Multigrain strips – Bajra. Getting outside baked snacks is a bit challenging as most of them contains oil. Thanks to DIP Food’s they have a wide range of baked snacks. The one I am using in this bost is there Baked Multigrain Strips – Bajra. It goes very well with any healthy dip and today’s post is about healthy dip made out of Dill Leaves, melon seeds, cashew nuts, yogurt & a dash of lemon. Dill leaves are naturally fragrant & flavorful when they are used raw and to get the crunchiness I added some nuts. Yogurt is needed for the semi solid consistency of the dip. Lemon of course gives a good sharp taste to the dip. 1. Wash chop the dill leaves. 2. 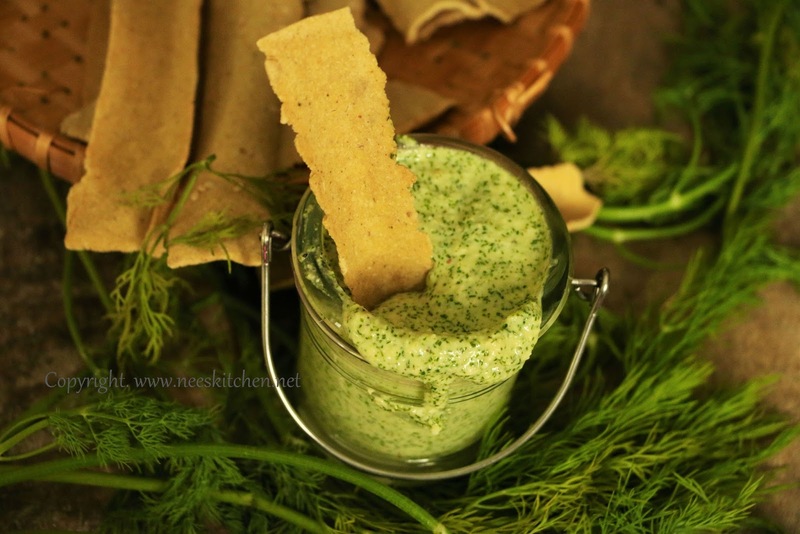 Take a blender add dill leaves,1/2 of the cashew nuts, melon seeds, yogurt, salt and feta cheese. 3. Blend well, if needed you may add water but the dip should be thick enough. So add only little if needed. 4. Add the remaining cashews, parmesan cheese , pepper and blend again. This is done the second time so that the sauce would have some crunchiness of cashew’s and we can feel the taste of parmesan. Pepper can be added in first or second batch. 5. Squeeze lemon juice and blend once so that it gets mixed well. Serve it with DIP Food’s Bajra chips. The dip should not be watery hence make sure you add water only if needed. You may replace the seeds with almonds, sunflower seeds also.